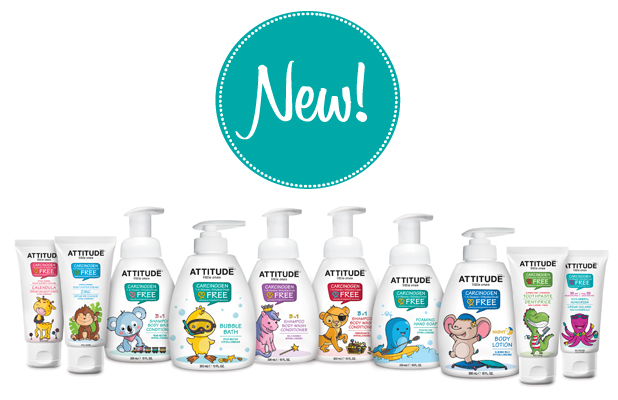 Made with Worry-Free ingredients, ATTITUDE products are hypoallergenic, safe & naturally pure. Peace of mind for you and your loved ones. And now they are introducing the new little ones collection. I love Clean ATTITUDE and if you have been following for a bit, then you know exactly how much I rave about their products. Enter the ‪#‎ATTITUDElittleones‬ giveaway for your chance to win the full line of new products complete with a signature ‪#‎ATTITUDE‬ reusable tote bag! Contest ends March 27th. Good luck to all! I am receiving products from the new line in exchange for sharing this post. All opinions are my own.